St. Claire Adams is the newest up and coming rapper to face music since Eminem. He travels the world, performs to crowds of thousands, and he also finds himself in L.A. County jail. And his final arrest gets him in some deep water not only with his bodyguard Dylan, but more importantly with his record label. Now Saint has an ultimatum to face. Either spend the summer getting “personality rehab” at Dylan’s sister’s famous horse training center, or forfeit his contract with the label and lose the dream life he has as a hip hop artist. Which do you think he chooses? Life is pretty simple for Patience Kellen. At eighteen years old she is the youngest trainer at her aunt Molly’s horse farm, Kellen Stables, and her life pretty much revolves around the horses she molds into prize winning thoroughbreds. So when news that one of Dylan’s protection details needs a bit of down to earth rehabilitation, she doesn’t even flinch. That is until she meets the tatted up rapper who has…let’s just say a mouth on him. This summer just got a whole lot more interesting. For both parties. *Learning Patience is a complete standalone New Adult romance. Learning Patience was an amazing, addicting, and entertaining standalone New Adult romance and I absolutely loved it! The storyline and characters were incredibly unique and intriguing, and I truly loved the author’s writing style. This was my third novel from Inda Herwood and one of my TOP FAVORITE reads from her so far. She has a wonderful sense of humor that never fails to make me laugh out loud, and although Learning Patience wasn’t a romantic comedy, there were plenty of humorous moments throughout that made me smile. Patience and Saint were amazing and I immediately fell in love with them and their story. I was addicted from page one and didn’t want to put the book down until the last word. I loved their personalities and chemistry together, and how their relationship progressed throughout. I loved reading the book from both of their POV, and I truly enjoyed all of their banter and interactions with each other. Patience and Saint were a perfect match and complemented each other very well. 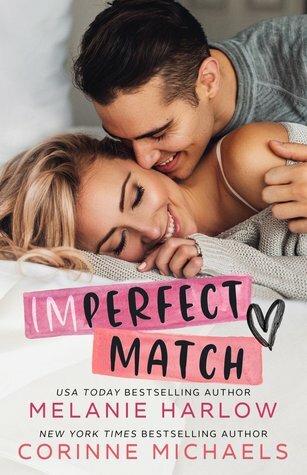 Their story was so unique and refreshing, and unlike anything I had ever read before. I loved this book so much and was extremely pleased with the conclusion to Patience and Saint’s story. It was perfect for them and made me very happy. 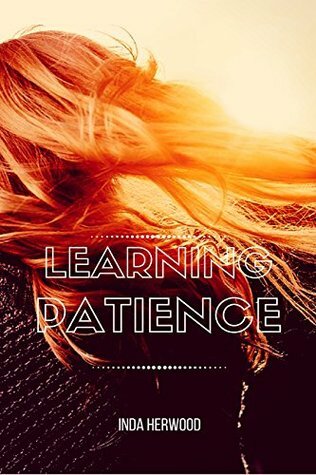 Learning Patience was a phenomenal, memorable, and entertaining standalone New Adult romance, and one of my top favorites from Inda Herwood. She did an extraordinary job with this book and I absolutely loved the outcome to Patience and Saint’s story. Inda Herwood is beyond talented, and I am so excited to read more of her amazing stories in the future. Learning Patience was absolutely amazing and I would highly recommend it! FIVE “Patience & Saint” STARS! Inda Herwood is an avid reader, writer, blogger, and self-taught artist. The things she enjoys most are watching sports with her family and writing about the fictional characters that keep her mind in constant company.